Three Ohio motorists are suing Ford Motor Co., arguing that the automaker’s EcoBoost engine is substandard. The lawsuit alleges that Ford’s 3.5-liter V6 EcoBoost engine is prone to shuddering, shaking and losing power during acceleration. One plaintiff says that his Ford F-150 pickup truck lost power while he was accelerating. The other two plaintiffs, a married couple, contend that their Ford Taurus SHO has lost power and stalled multiple times. 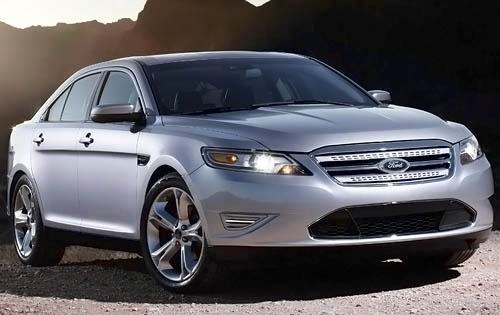 Aside from citing the personal experience of the three plaintiffs, the lawsuit says that over 100 drivers have filed complaints to the National Highway Traffic Safety Administration regarding the V6 EcoBoost engine. Despite numerous customer complaints, the NHTSA has yet to open an investigation. Ford has not recalled any vehicles for the supposed defect. The complaint also says that Ford has notified dealers of the issue, but has neglected to tell owners. Ford has declined to comment on the lawsuit, which was submitted last week in U.S. District Court in Columbus, Ohio. Co-developed by FEV engineering, Ford’s EcoBoost is a segment of turbocharged, direct injected gasoline engines. EcoBoost engines are designed to deliver the same power and torque of larger engines, while getting up to 20 percent better fuel efficiency and 15 percent reduced greenhouse emissions. Available since 2009, Ford’s V6 EcoBoost engine option is currently available on the Ford Flex, Ford Taurus SHO, Ford F-150 and Ford Explorer Sport, Lincoln MKT, and Lincoln MKS. The Michigan-based automaker also produces four- and three-cylinder EcoBoost engines, neither of which is included in the lawsuit. Last December, Ford recalled nearly 90,000 model year 2013 Ford Escapes and Fusions equipped with EcoBoost engines due to a dangerous fire-related problem. Click here for Torque News’ in-depth coverage of last year’s recall. Ford is also in a legal battle with Pennsylvania owners of 2013 Ford Fusion and C-Max Hybrid owners over claims of incorrect fuel economy ratings. Filed in U.S. District Court in Philadelphia late last month, the complaint alleges that Ford’s hyrbids deliver significantly less than the advertised 47 mpg. In fact, the Fusion Hybrid and C-Max Hybrid provide roughly 17 to 21 percent less than the advertised fuel economy, according to the lawsuit. The mileage discrepancy—which translates to about 10 mpg—equates to roughly $1,800 in additional fuel costs over five years, according to the complaint. In addition to claiming false fuel efficiency ratings, the lawsuit also says that Ford’s procedures for evaluating mpg, known as “driveability” testing, is faulty. To the plaintiffs’ point, the EPA is currently investigating Ford’s testing system to ensure that it meets federal standards. Click here to read Torque News' coverage on the lawsuit.